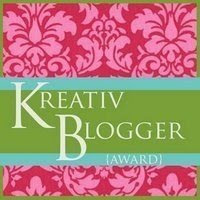 Earlier this week, Gera from Sweet Foods awarded Taste As You Go the Kreativ Blogger Award! When Gera sent me a message about the award, I seriously didn't know what to say. Taste As You Go has been "live" for seven months and this is the first award it has ever received! I am unbelievably touched to have my blog be recognized by one of my peers and am thrilled to say that Taste As You Go is an now "award-winning blog"! Thank you, Gera! They all have fabulous blogs that I know you'll love!! So be sure to check them out! And, now, without further ado... It's time to announce the winners of the Amazing Taste® Seasoning Packet Giveaway! All winners were chosen with the help of Random.org. The Grand Prize Winner is #3 - Brenda Campbell from Cre8tive Kitchen! The First Runner-Up is #12 - Tracey! The Second Runner-Up is #6 - Scottsgal! Congratulations, ladies! I'll be emailing you this week for your mailing addresses, so watch your Inboxes! Thank you! You're so sweet :) BTW- I love the Amazing Taste guys! I got a bunch to review and have been buying them ever since! Thanks Michelle! I never won anything before, this is great!! Christie - You're very welcome! You and your blog deserve it! !